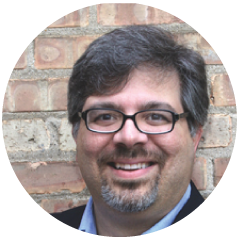 Phil Sasso is founder and president of Sasso Marketing, Inc., a Chicago-based technical marketing firm that has created advertising, public relations and promotions for tool and equipment manufacturers since 1989. His firm has provided consulting and creative services for tool makers across the United States as well as Canada, Mexico, France, Sweden and Germany. He has presented at SEMA and participated in AAPEX, NACE, and GAAS. Since 2002, Phil has written over 100 business, sales and marketing articles for automotive aftermarket publications including Performance Business, Restyling, RV Business, and Service Station & Garage Management / L’Automobile (Canada). Since 2006, he has been a contributing editor for Professional Distributor, writing a monthly sales and marketing column for tool dealers with brands like Cornwell, MATCO, Snap-on, and Mac Tools as well as independent distributors. He has interviewed dozens of top tool and equipment dealers and their district and regional managers to learn best practices, creative strategies, and success secrets. His career-long research also encompasses studying and contributing to sales and marketing tactics of leading automotive aftermarket tool and equipment manufacturers. He was adjunct faculty and interim director of the Weekend program at Triton College where he was also a speaker and workshop presenter for the Small Business Development Center. Phil lives in suburban Chicago with his wife, son and an adopted stray cat that seems to struggle with abandonment issues.